HOMEMADE HAIR STRAIGHTENING PACK & GEL is one of the most common recipe that people look for specially in India where there are not so many options and variants in hair straightening products like gels, hair packs, masks to choose from. Though now a days there are many hair straightening commercial brands in India as well but still I think most of us want to avoid applying strong chemicals to our hair frequently and want to stick to herbal since using of strong chemicals on our skin and hair in long term definitely harm us with the side effects like hair breakage, split ends, hair fall, rough dry hair and much more. So I just don't see the point of spending high amounts of money in these products specially the one which can easily make at home. 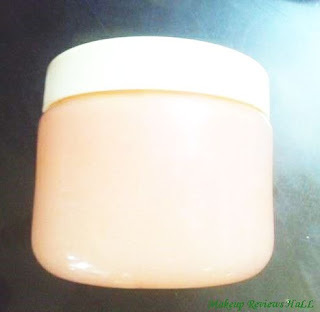 The best thing about these DIY hair & skin care products is that along with being herbal and natural these can be customized according to your skin and hair type whether it's dry, oil, normal or sensitive. So without making you wait further I'm going to share one of the best hair straightening pack recipe which not only is natural but also helps in conditioning of your hair improving it's overall texture and all this comes naturally and at a very affordable cost unlike expensive commercial brands. 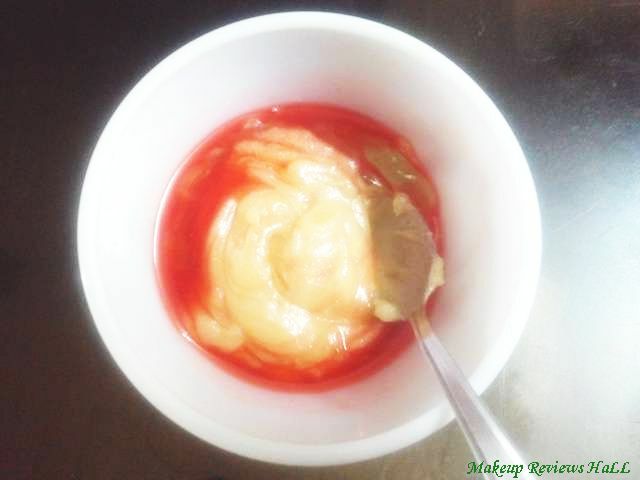 So let's take a look at this homemade hair straightening cream below. OIL - Coconut/Olive/Avocado - 4 tbsp. One can use any oil as per the hair type like if you have very dry scalp I would suggest using Avocado oil or Olive oil since these are highly moisturizing. Shea Butter - 2 tbsp. If you have dry scalp, then increase the amount of shea butter a little more. Aloe Vera Gel- 2 tbsp. I would totally recommend you to buy pure organic aloe vera gel from any health store and avoid using the natural one scopped out from the fresh leaf since we need to store this hair pack for a little longer time and the fresh aloe vera gel would turn bad being oxidized in few days since we are not using any kind of preservative in this all natural homemade hair mask and pack. Essential Oil - Tea Tree / Argan Oil /Jojoba /Rosemary - 2 drops. Essential oil is optional but can be added for extra benefit and for the refreshing touch. If you suffer from dandruff, add tea tree oil, add argan oil for dry hair, lavender and rosemary oil add a nice aroma to your hair straightening cream along with providing other benefits. 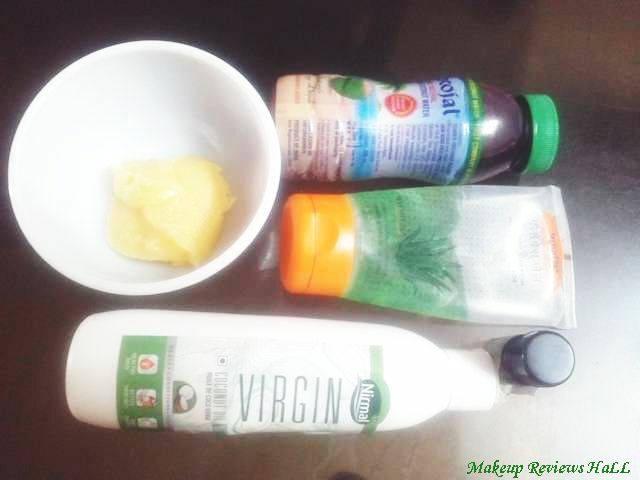 Homemade Hair Straightening Pack recipe is very simple and quick yet very effective. Firstly take a plain glass bowl and add shea butter into it. Next add aloe vera gel and the oil of your choice, coconut, olive or Avocado. (Read above for more information on this). I'm using my own homemade hair growth oil because of which this oil has a red tint which in fact looks good. The normal oil won't have any tint but that's perfectly fine. 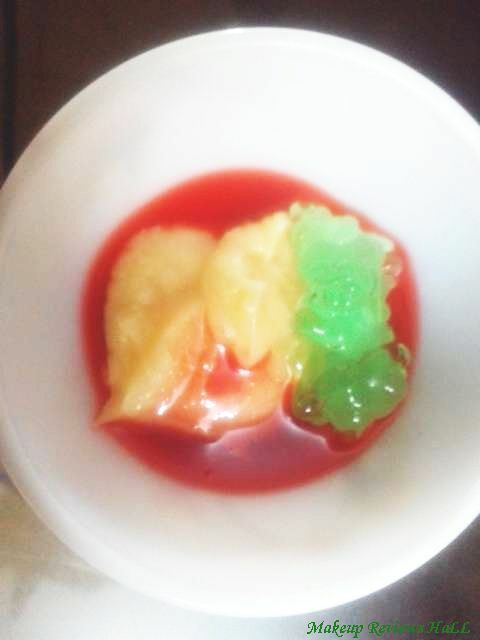 After adding all the ingredients blend these nicely to mix them all together. Keep bending till you form a smooth paste with medium consistency. In the process of mixing it might look as a whipped cream but that's even better confirming that all the ingredients have rightly mixed together. Lastly add the essential oil of you choice and mix again. Finally add the mixture into a clean sterilized born and voila you are done. Your own hair cream is ready and you are all set to apply this. Just store this in an airtight container and this will remain good for months. Now coming to the application part of this hair cream. This part is again very simple but just requires few tips and tricks to get those naturally heatless straightened hair. Take generous amount of cream in your hands and spread it all over your hair, massaging your scalp in the best possible way since this is not only a straightening pack but a hair conditioning cream as well to give you soft beautifully smooth shiny hair naturally. Now coming to the tips and tricks you need to use to get straightened hair with the help of this cream without the use of any heat. After applying this cream all over your scalp in a pack form move on to the bottom open loose section of your hair. Gently apply the cream on the hair strands taking few section of hair each time gently massaging and rubbing your hair from top to bottom with a slight effort pressing your hair for a straightening effect. This might feel like a hair gel on the individual strands. Keep the pack on hair as it it for at least 20 minutes and then shampoo your hair as usual following with the regular hair conditioner, a straightening hair serum or even the homemade leave in hair conditioner would work fine. Add little bit of coconut milk and honey in the mixture separately every time if you want your hair to be extra straight. I haven't added these 2 ingredients in the above hair pack recipe since these might oxidize and might spoil the entire cream in just few days so you can add these separately every time you want those beautiful hair locks with the extra straightening effect. So this is all about my HOMEMADE DIY HAIR STRAIGHTENING PACK for all hair types, oily, normal and dry. This pack also conditions the hair and strengthens them making them soft with the regular use. Do try this and let me know how it turns out for you. This is the most natural safe hair cream which will definitely help you in improving your hair texture overtime without harming it in anyway unlike the regular hair straightening gel. Wow! Never heard of a straightening pack before! This sounds very nice. I'm going to give it a try. Where did you get the shea butter from? Home made products are always good to use. Because they are made up of naturally. And everyone likes to use natural product. I use to prefer natural product like tea tree wipes and tea tree soap because these products helps to prevent your skin from skin infection. hey nice review. please inform where can I buy shea butter in India? This fast shampoo is a great product. My hair was very dry and had lot of splits at the bottom. I heard of this shampoo from one of my friends and decided to give a try. My hair has become very silky and soft and splits have gone after using fast. My hair grows twice as fast after using this and the best thing is it is sulphate and paraben free you should try this! !